← The Patriarch: Immersion Only? Whenever anyone tells the story of Christ, they impart their own character into the story. The four Evangelists are no exception. Though inspired by the Holy Spirit to compose Holy Scripture, Saints Matthew, Mark, Luke, and John each told the story of Jesus Christ according to their own character and experiences. Each man viewed his Lord through the eyes of their own personal history. Although each of the Evangelists was a Jew, St. Matthew presents the Life of Jesus Christ as a particularly Jewish fashion. For St. Matthew, Jesus Christ is the new Moses. Consider the birth of each of the men. A tyrannical king ordered the death of both Moses and Jesus. In Exodus, Pharaoh ordered the death of all of the Jewish boys, while, in St. Matthew’s Gospel, Herod the Great ordered all the boys in Bethlehem two years old and under to be slain. Both Moses and Jesus escape this death sentence while countless young boys around them are slaughtered. After the tyrant dies, both Moses and Jesus return to the land of their birth. Yet the similarities continue. So what? What significance does that have? What has it to do with Moses? The first five books of the Bible are known as the Pentateuch, the Torah, or The Books of Moses. Moses gave the five books of the Law to the Children of Israel. 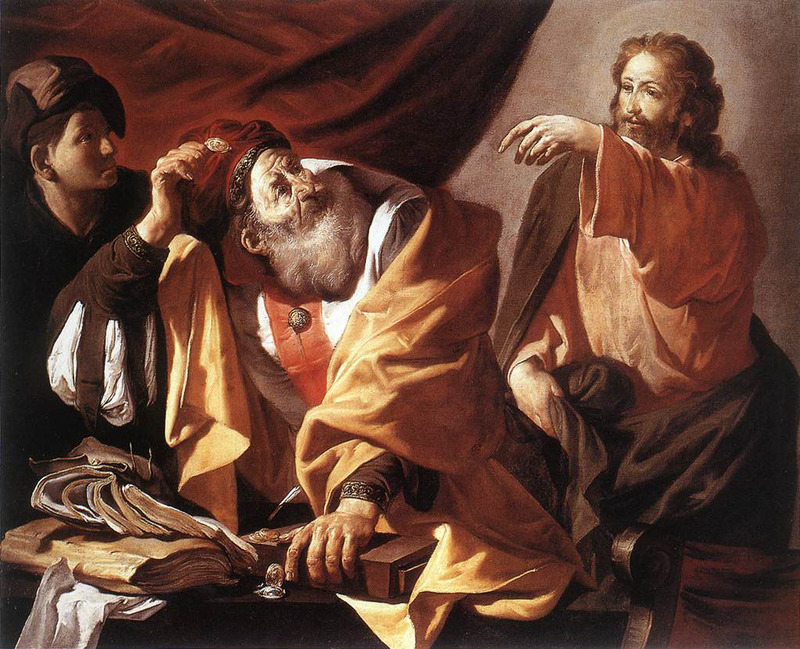 According to St. Matthew, Our Lord taught His followers through five discourses. Keeping in mind that the Sermon on the Mount is only on “the Mount” in St. Matthew’s version (compare Saint Mathew 5:1 with Saint Luke 6:17ff), we can see another correlation in that Moses went up onto the mountain and brought back the Law for people and Jesus goes up onto the mountain and gives the people the completed Law. It is, of course, in St. Matthew’s Gospel, during the Sermon on the Mount, where Our Lord proclaims, “Do not think that I came to destroy the Law or the Prophets. I did not come to destroy but to fulfill.” (5:17) This tie between Moses and Jesus even more profoundly illustrated when one recalls that Moses prophesied the coming of a prophet, one who would be like Moses himself, in Deuteronomy 5:17. To St. Matthew, Jesus is the New Moses. Their births run parallel, their teachings run, parallel, but whereas Moses came to give the Law, Jesus came to fulfill it, and whereas Moses wrote the Law on tablets of stone, Jesus has written the New Law on our hearts. Aside from being interesting trivia, what difference does any of this make? Christianity did not develop in a vacuum. While a particular parish or denomination may only have a few decades of history, our shared cultural heritage extends back, literally, millennia. We not only count Jesus as Our Lord and God as Our Father, but we also count Abraham, Isaac, Jacob, Moses, Aaron, Joshua, Samuel, David, the Kings and the Prophets as our fathers in the faith. We have their rich cultural inheritance from which to draw upon. We actually do worship the same God, even though they do not understand Him in exactly the same way we do, we acknowledge all of the mighty acts that he did for the Jews and that they have always been a people close to His heart. 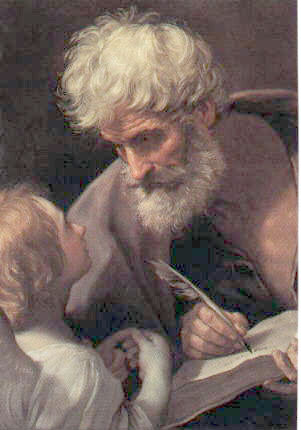 We thank thee, heavenly Father, for the witness of your apostle and evangelist Matthew to the Gospel of your Son our Savior; and we pray that, after his example, we may with ready wills and hearts obey the calling of our Lord to follow him; through Jesus Christ our Lord, who lives and reigns with you and the Holy Spirit, one God, now and forever. Amen.